The Panama Jack Carolina Beach collection will give you that feeling of escape and relaxation with its east coast heritage and design. 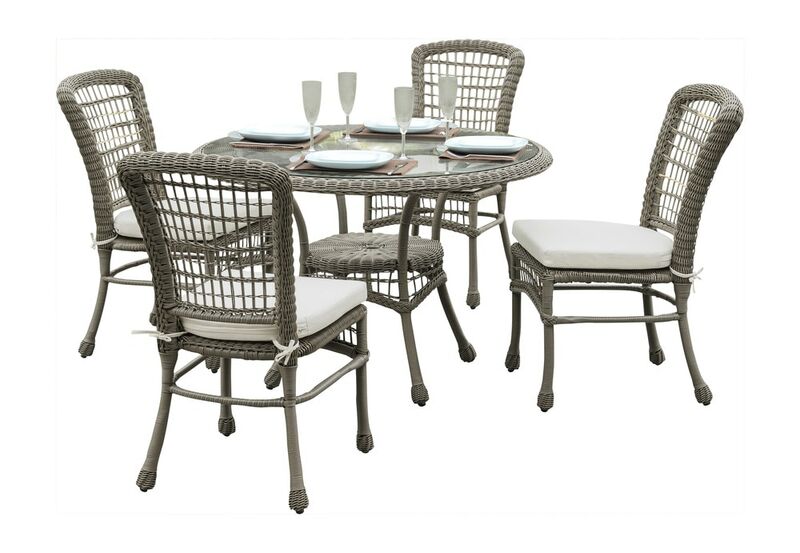 This hand woven 5 PC outdoor dining set will add comfort and style to any patio area. It incorporates an extruded aluminum frames that is then woven with a high quality Viro fiber in a driftwood grey finish. Outdoor cushions are included in 100% polyester fabric. Bring your own personal design to life and bring that outdoor cottage feel into your own backyard.